Vice premier for education Kim Yong-Jin was executed,' South Korea's unification ministry spokesman Jeong Joon-hee said. 'Kim Yong-Jin was denounced for his bad sitting posture when he was sitting below the rostrum,' he added, referring to North Korea's parliament. 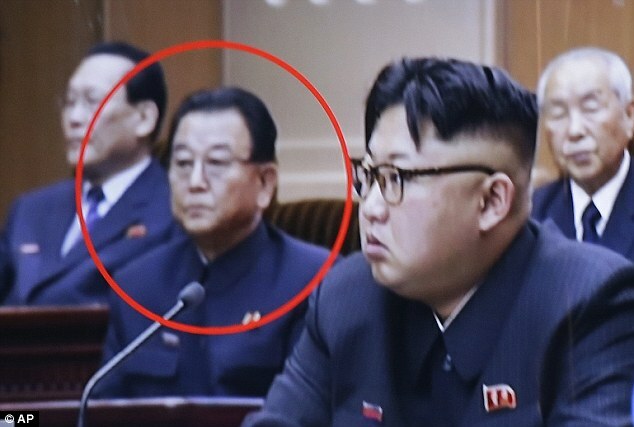 Kim Jong-un was in the government meeting and was infuriated after Kim Yong-Jin sat in his chair 'with a bad attitude'. Another South Korean official said the education official's poor posture was spotted at a meeting on June 29, when Kim Jong-un was named chairman of a new national defence department.